Journalist Ella Winter once remarked to writer Thomas Wolfe: “You can’t go home again.” The phrase resonated so deeply with Wolfe that he asked her permission to use it as the title of a novel. It’s a bitter truth: when you leave home, both you and all that you leave behind will be changed by time. Musicians are intimately familiar with this feeling. Time logged touring on the road or cutting teeth in bigger cities can create more than physical distance between you and your hometown. Nashville has long been the destination for aspiring artists to hone their craft, and in 2012, Will Stewart left Birmingham to break into an established scene. While he spent several years there performing in acts like Timber and Willie and the Giant, Stewart kept an eye on what was happening down in Birmingham. Bottletree had been open for several years at that point, and the Magic City’s music scene was in the midst of a rapid renewal. Stewart returned to Birmingham in 2016 and began a concentrated effort to record his first solo album. The resulting works, recorded in 2017, would be titled County Seat. “I wanted to make a consistent, cohesive record,” he says. “I was going for a proper album with connected themes: grappling with time, isolation, and looking back with regret.” It’s a contemplative collection that alternates light and dark moods like clouds passing over the sun. 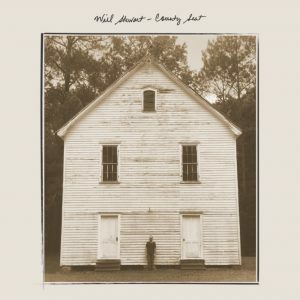 The wistful mood that weaves through County Seat was heavily influenced by Alabama itself. While the songs came together in his head, Stewart spent as much time as he could outdoors, taking in the beauty and solitude of local treasures like the Sipsey Wilderness. These excursions inspired the album’s first single, “Sipsey.” Over instrumentation somewhere between country and rock, Stewart searches for a feeling that can’t be fully replicated. “It’s about trying to recapture that sense of abandon and freedom of youth,” he says. Stewart has a knack for establishing the personality of a character with just a few notes. Before the vocals ever start in “County Seat,” you get a feel for the song’s aging loner. The title track depicts a county worker in his twilight years, and as he looks back on younger days, it’s hard not to ache from his quiet desperation. With a long list of country influences, Stewart pulls from all corners of the genre. It’s easy to hear Bob Dylan in “Dark Halls,” from the idiosyncratic vocals and colorful songwriting to a guitar rhythm that evokes “Tangled Up In Blue.” The track progresses into more contemporary territory with an airy electric solo toward the end. The instrumental track “Otis in the Morning” was composed as a tribute to Stewart’s canine companion, a nine-year-old Goldendoodle. Banjo and guitar resonate together in something part Appalachian folk, part love song with no words, all wonderfully mixed, just like Otis. The second single, “Heaven Knows Why,” is a slower duet reminiscent of his work in Timber. Following the whine of a slide guitar, the singer gradually progresses from classic country tropes- woes of drinking, music, and a woman- to eventually hoping that she might be the answer to his troubles. County Seat ends with a charming cover of Justin Tubb’s “Mine Is A Lonely Life.” Janet Simpson-Templin adds a beauty of her own to the track, and the simple guitar/duet combination gives the song a familiar Johnny and June vibe, a fitting conclusion to an album of forlorn feelings. County Seat was engineered, mixed, and co-produced by Les Nuby at his studio in Homewood. “Les has been like a mentor through the whole process,” says Stewart. “We went in and worked as hard as we could. We didn’t waste any time on the recording.” The entire record was recorded in two days through a quick succession of live takes. County Seat is easy to recommend any fan of lyrically-driven country music, storytelling, or the folk roots of rock. The subject matter becomes more relatable with time, but you don’t have to be advanced in your years to feel what Will Stewart communicates through his songwriting. Will Stewart’s County Seat released on Cornelius Chapel Records on April 6. You can order it right here. Stewart made his first appearance at SXSW earlier this spring, and is currently touring to support the new record. You can following his progress on Facebook and Twitter.